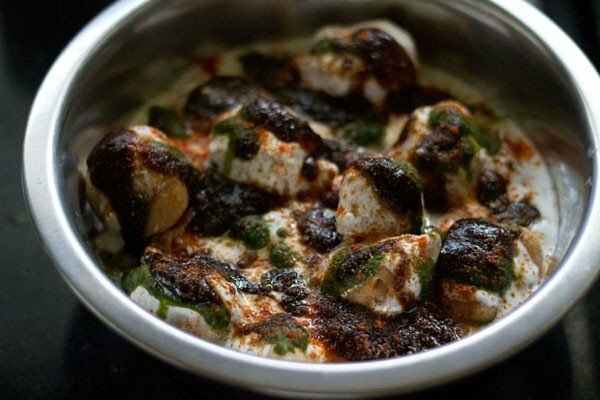 dahi vada recipe - popular north indian street food snack made of lentil dumplings in yogurt , spiced with chutneys and spice powders. 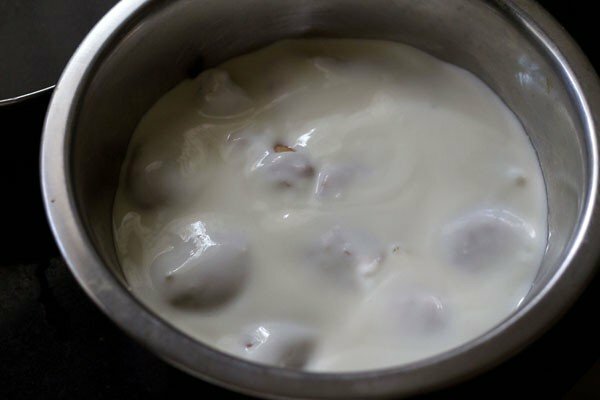 dahi vada recipe with step by step photos – dahi vada is a popular north indian snack which is made during special occasions and festivals. 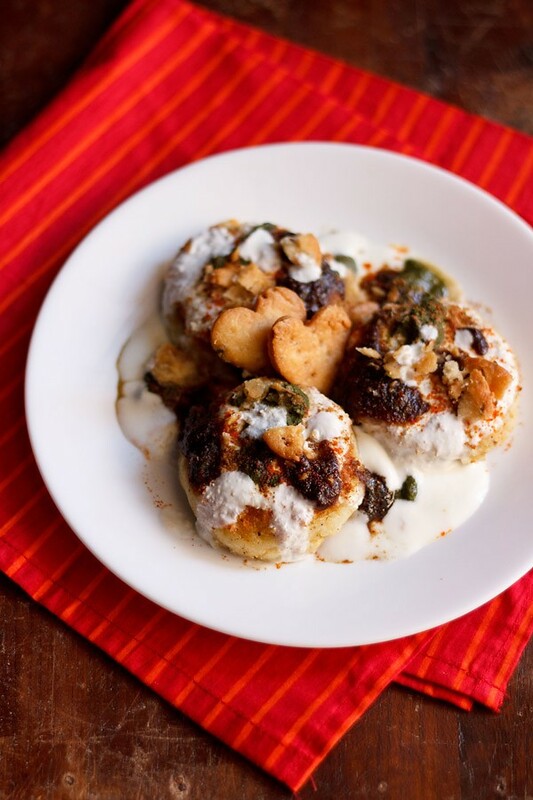 this tasty snack consist of fried urad dal dumplings dunked in a creamy whipped yogurt topped with spicy and sweet chutneys. 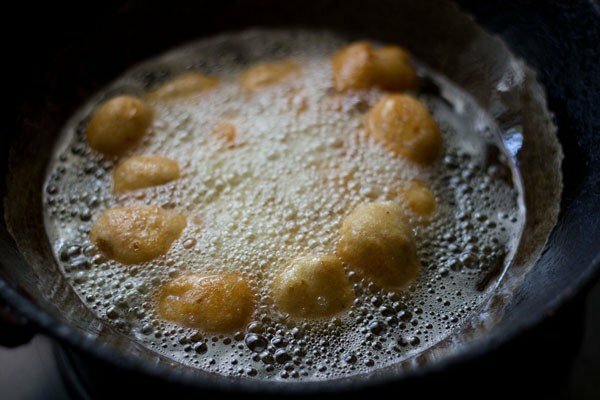 dahi vada are a craze at home and i do make them at times as they require some prep work to be done beforehand. like making both the spicy green coriander chutney and sweet tamarind chutney, preparing the vada etc. the north indian dahi vada is made slightly differently than the south indian version. in the north indian version of dahi vada, we just add the green chutney, saunth chutney (tamarind chutney) sprinkled with some spice mixes. in the south indian version, the curd (yogurt) is spiced with a coconut+green chilli paste and then tempered. 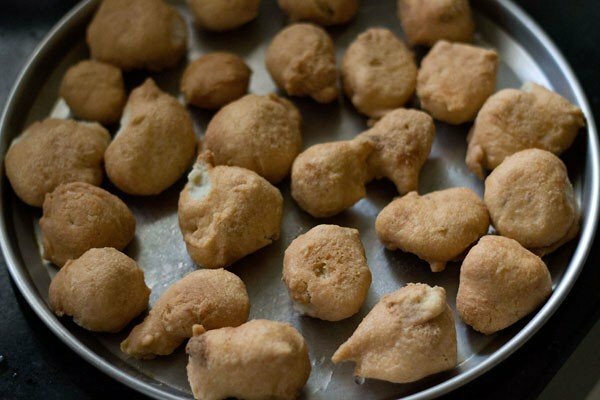 the south indian dahi vada is called as thayir vada. at home we prefer both the versions and the dahi vada get over really quickly. 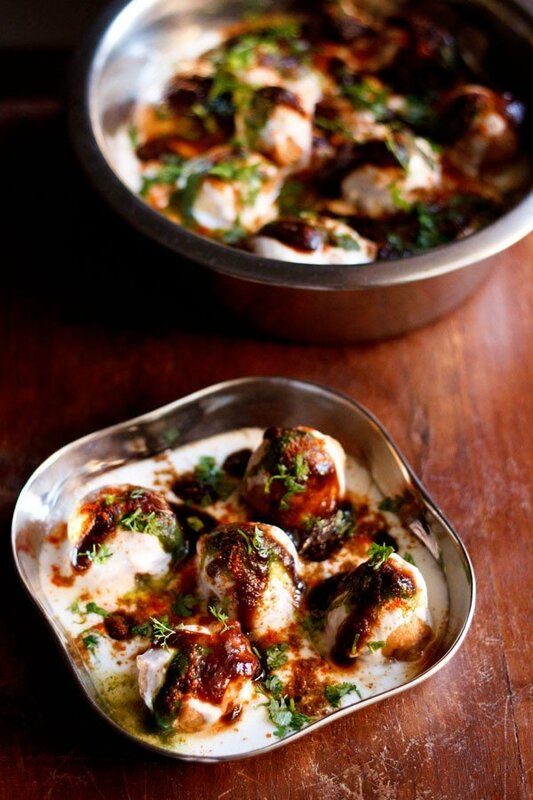 in north india, there is another version of dahi vada and they are called as dahi bhalla. dahi bhalla are again slightly different from dahi vada. 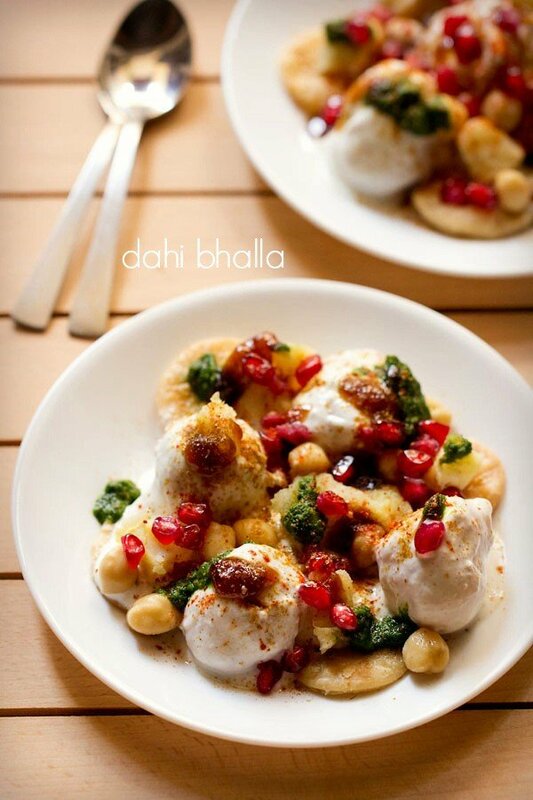 in dahi bhalle, papdis (fried flour crispies), boiled potato cubes and cooked chickpeas are added which add different textures, taste and flavor to the dahi bhalla. 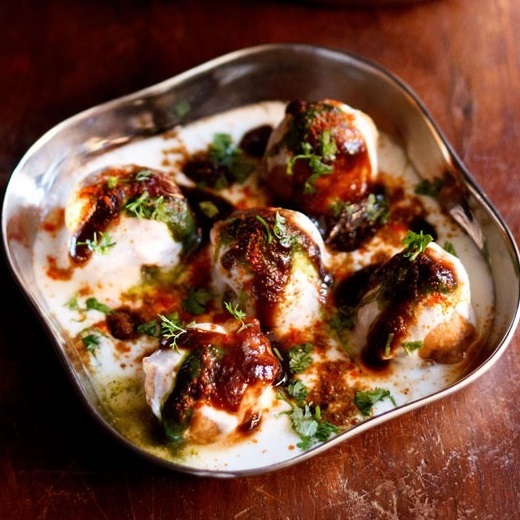 both dahi vada and dahi bhalle are popular north indian snacks as well as street food. they can also be served as a starter dish. they are also made during festive time like diwali or holi or any other special occasion. to get a good soft urad dal vada, remember to soak the lentils overnight. grind the batter really well with little water. also remember to use fresh yogurt. i used homemade yogurt. the chutneys can be made at home or brought ready made. 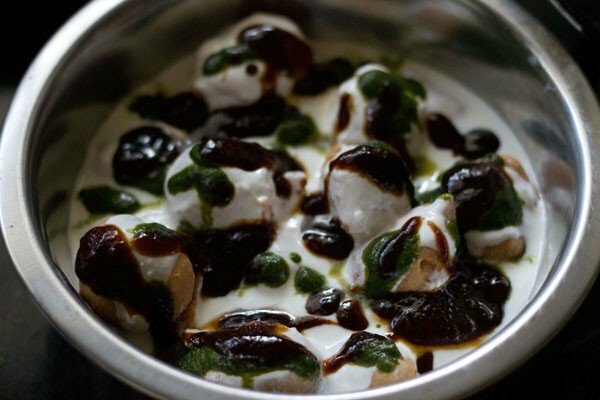 you can also make the dahi vada with just the sweet tamarind chutney and yogurt. the leftover green chutney and tamarind chutney can be refrigerated and served with other indian snacks. 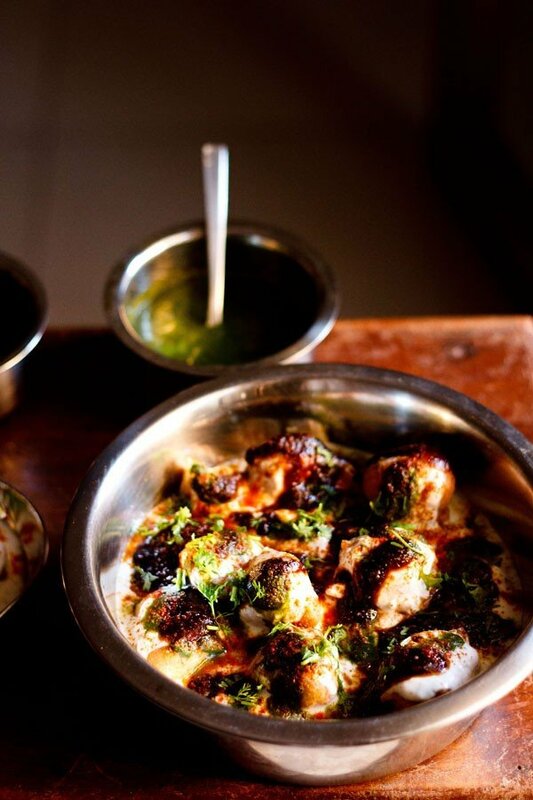 to make a no onion no garlic version dahi vada, just skip the garlic & onion in the green coriander chutney. sev puri – a spicy, sweet and tangy street snack from mumbai. pav bhaji – a popular street food recipe from mumbai consisting of spiced smooth mashed mix vegetables, served with lightly toasted buttered bread. 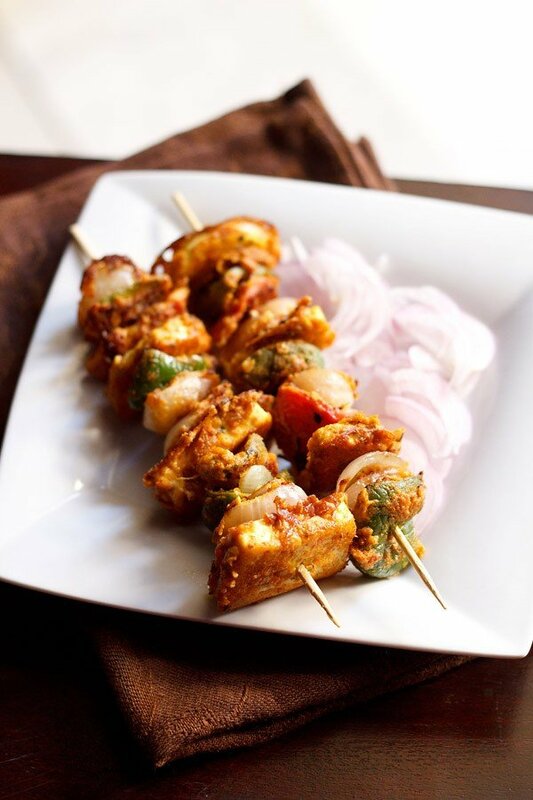 aloo tikki – a popular north indian snack of spiced, crisp potato patties. soak tamarind in water overnight or for 4-5 hours in a small bowl or pan. with your hands, squeeze the pulp from the tamarind in the same bowl or pan. strain the pulp and keep aside. heat oil in a small pan. lower the flame & add cumin seeds and let them crackle. stir and add the strained tamarind pulp. cook for 2-3 mins. add the jaggery and salt and cook for 4-5 mins more. the mixture would thicken. let the saunth chutney mixture cool. when cooled, store the saunth chutney in an air-tight dry jar or container. grind all the ingredients mentioned under the green chutney list with little water. remove and keep aside in a small bowl. first pick and then rinse the lentils for 3-4 times in water. soak the lentils in enough water overnight or for 4-5 hours. drain and add the lentils in a wet grinder. also add chopped green chilies, chopped ginger, cumin seeds and asafoetida. 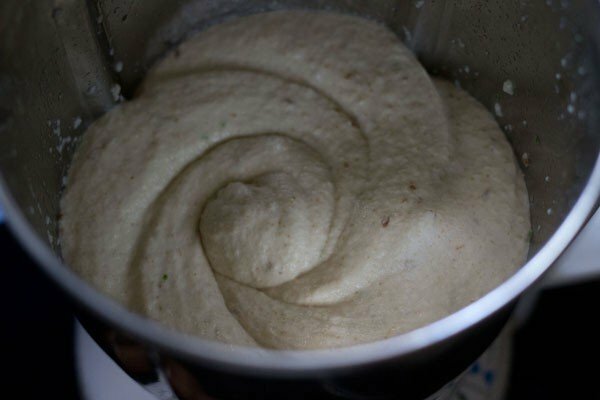 add water in intervals and grind to a smooth batter. i used about 3 tbsp of water added in intervals while grinding the lentils. take the ground batter in a bowl. stir the batter briskly for a couple of minutes. this makes the batter more light and fluffy. add the raisins and chopped cashews along with salt. stir and keep aside. heat a kadai or pan with oil for deep frying. when the oil becomes medium hot, add spoonfuls of the batter in the oil. don't be in a hurry to turn them. when you see the vada becoming pale golden from the base and sides, you can turn them. fry the vada till they become golden and crisp. drain on paper towels. in another bowl take water. and add the vada to the water. soak them for 18-20 minutes. take each vada and flatten and press between your palms to remove excess water. 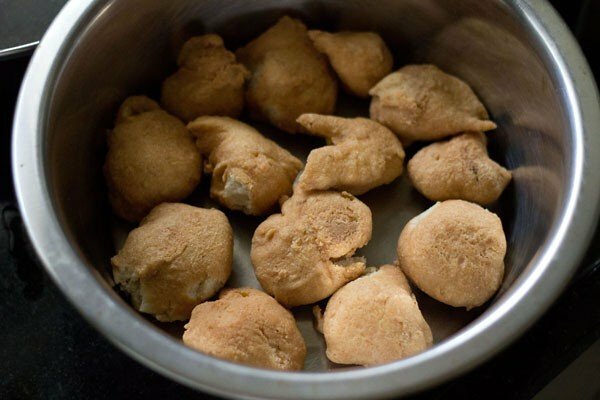 place these vada in the serving bowl. whisk yogurt till smooth. pour the yogurt over the vadas. top with the green chutney and tamarind chutney as required. sprinkle the red chili powder, roasted cumin powder, chaat masala and black salt. garnish dahi vada with chopped coriander leaves. serve dahi vada immediately or refrigerate and serve later. 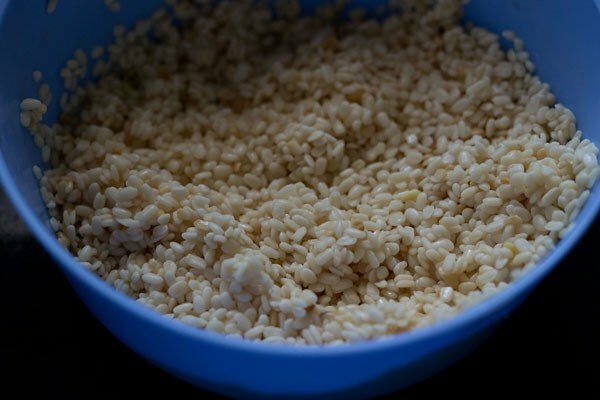 1. soak the urad dal overnight or for at least 4-5 hours. drain them. 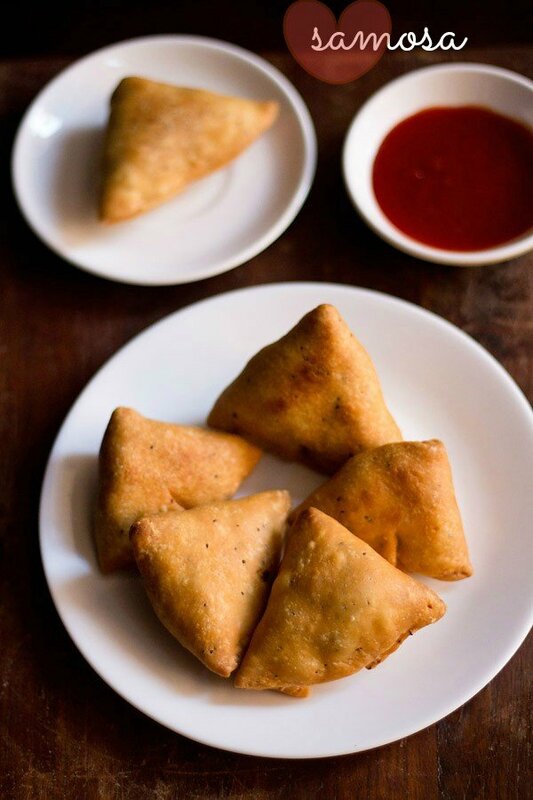 2. grind the urad dal, green chilies, ginger, cumin and asafoetida with little water to a smooth fluffy batter. 3. take the ground batter in a bowl. 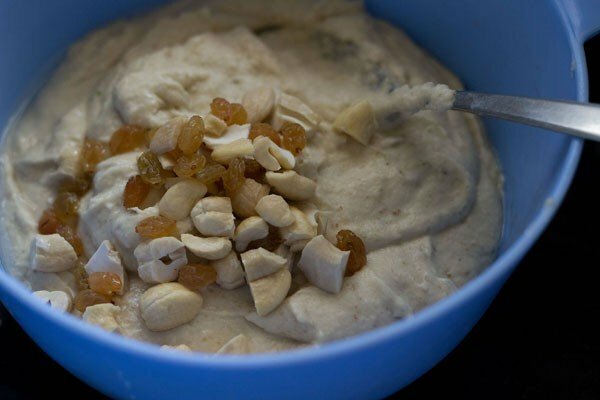 stir in chopped raisins & cashews. optional ingredients and you can just skip them if you want. 4. briskly & vigorously stir the batter for a minute or two with a spoon or spatula. this makes the batter more fluffy and light. as a result, you get softer and porous vada. a pic showing the consistency of the batter. add salt also. 5. heat oil for deep frying. either drop the batter with your hands or with a spoon in medium hot oil. fry the vada in batches till crisp and golden. 6. drain the vada on paper towels. 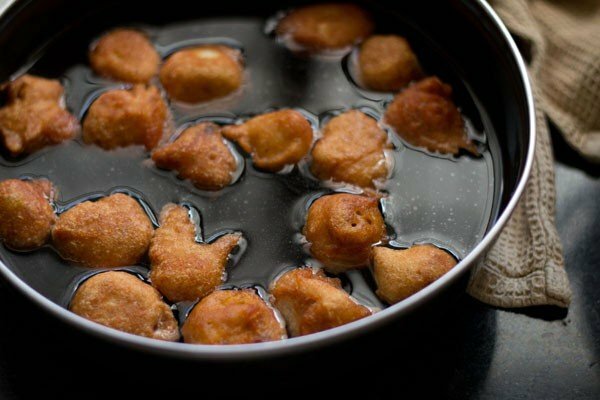 7. when they are still warm, add the vada in water (at room temperature) and let them soak for 18-20 minutes. 8. you can see from the pic, that the vada has increased a bit in size as well as their color has changed. 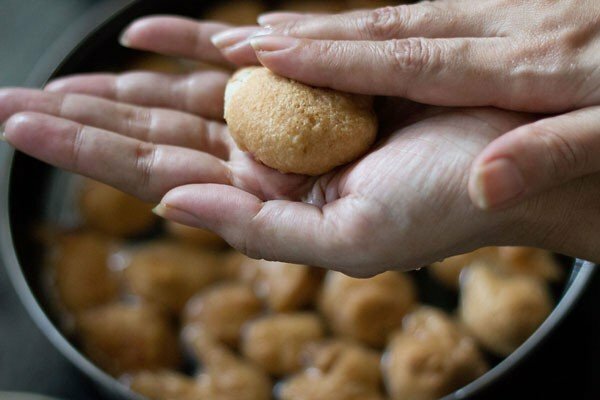 9. press each soaked vada between your palms to remove water. gently press or else you might end up breaking them. 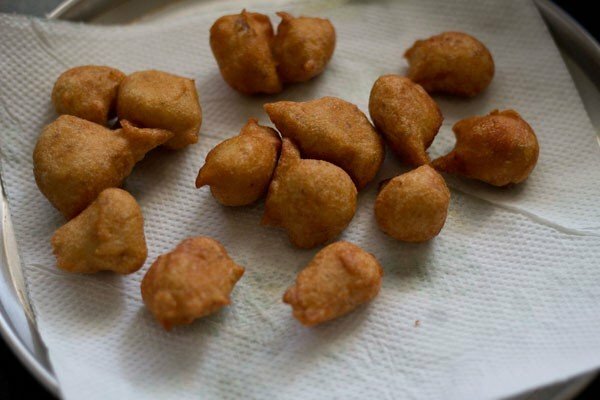 10. press all the soaked vada this way and keep them aside in a plate. 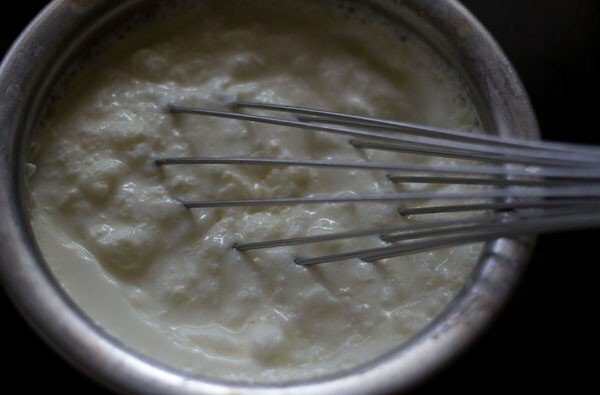 11. beat the chilled curd/yogurt till smooth. 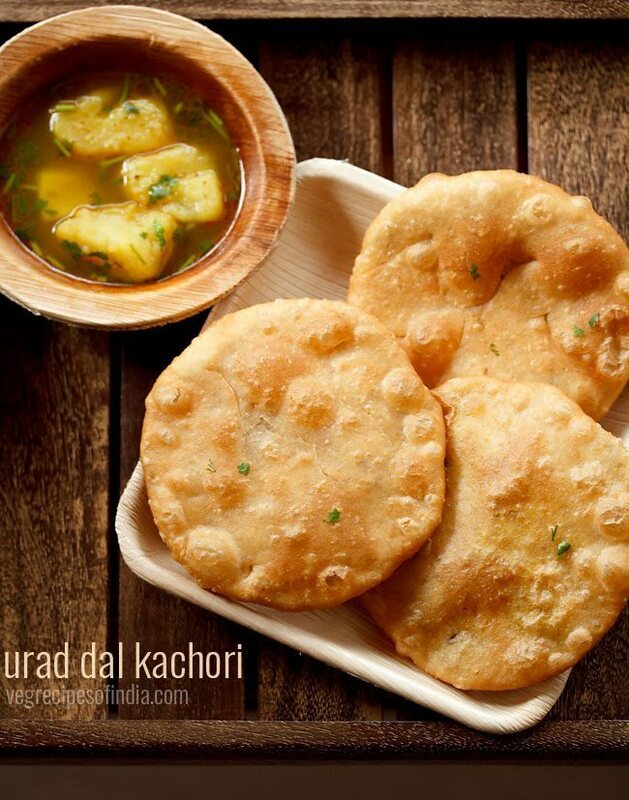 12. in a large serving bowl, arrange the vada. 13. pour the beaten curd. 14. pour the green chutney and sweet tamarind chutney. 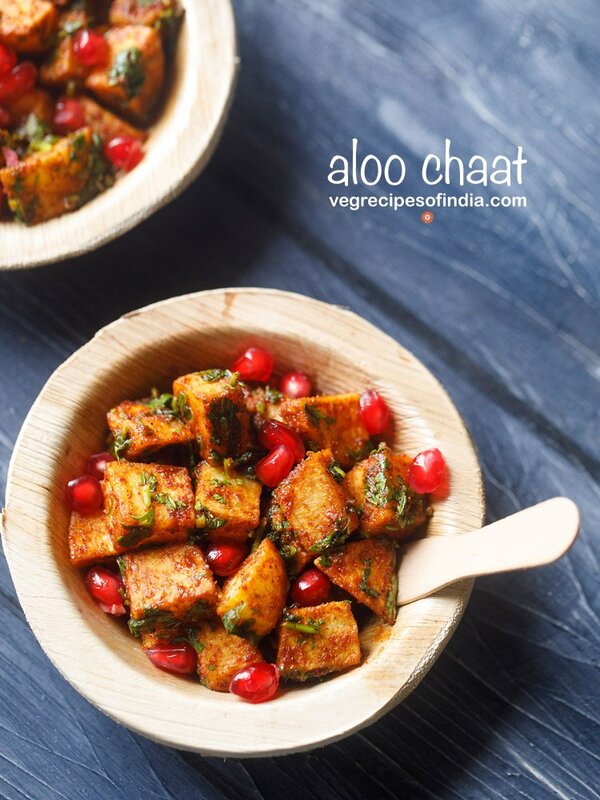 15. sprinkle with red chili powder, roasted cumin powder, chaat masala and black salt. 16. garnish dahi vada with coriander leaves & then serve dahi vada immediately or you can refrigerate and then serve them. Hi can I use whole urad daal instead of split one ? yes you can. but after soaking rub the whole urad dal in your palms so that the peels come out. Your recipes are just awesome… please keep posting and keep rocking with ur posts .. please post kanji vada recipe… thank you. thank you ankita. will try adding kanji vada recipe. have taken a note of the recipe request. Perfect and so easy. The explanation is awesome. thank you dinah. glad to know. yes it does look like many steps but easy to make. happy cooking. 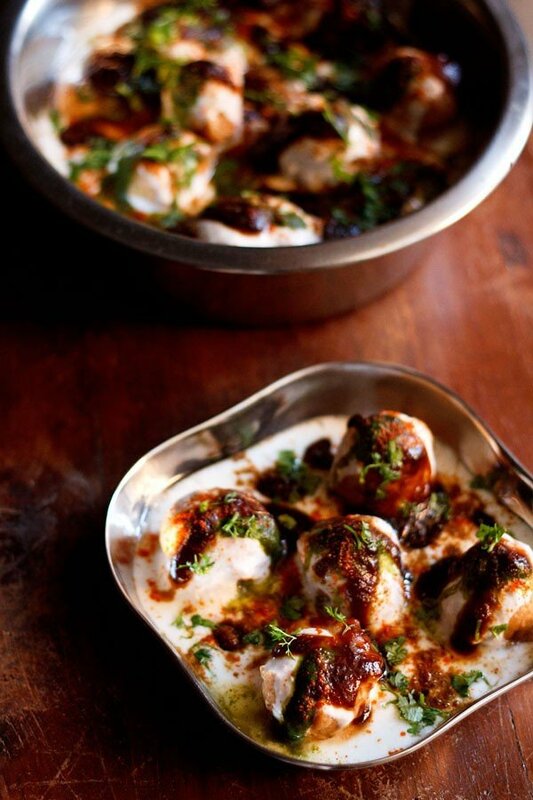 Simply outstanding is what one of my guests told me when I served dahi vada, prepared using your recipe on Holi! Though I cook a lot as cooking is one of my hobbies, this was the first time I was making dahi vada at home. Thank you very much! I will keep coming back to you for more! thank you jhilik. that’s nice to know and i am glad that the dahi vada recipe worked so well. most welcome and happy holi to you. thanks jacinta. glad to know and happy cooking. thats great jinal and thank you 🙂 when vada batter is ground well and nicely aerated, then while frying, the vadas become light and fluffy. thanks again. Your recipies are awsome. Now a days if I think to prepare any veg dish for my family then i find the solution from. Your tips, step by step clarification makes it easy to follow. I am a bengali but you made me punjabi and south indian also. Till nowadays , we used to visit resturants to eat north and south indian dishes. But now I can prepare those at home. hi actually i added soda in batter and the soda is more in quantity so what should i do now? just add some sooji (rava) in it. the soda smell will reduce. Very easy recipe. 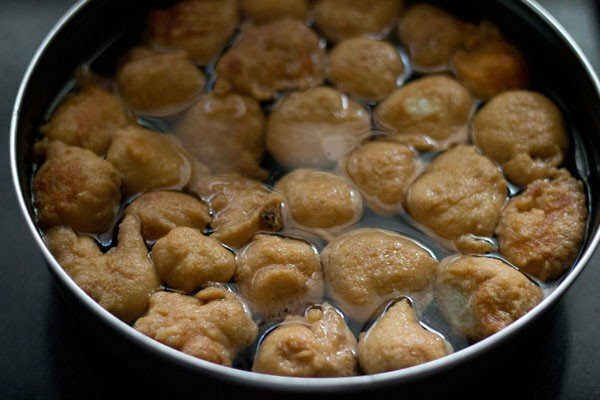 Can I save vada after frying it for 3 days in fridge and do rest of the prep on the day I will be serving them? Heena, yes you can do this way. Thanks Muskan for sharing your positive feedback. anshu, no need. 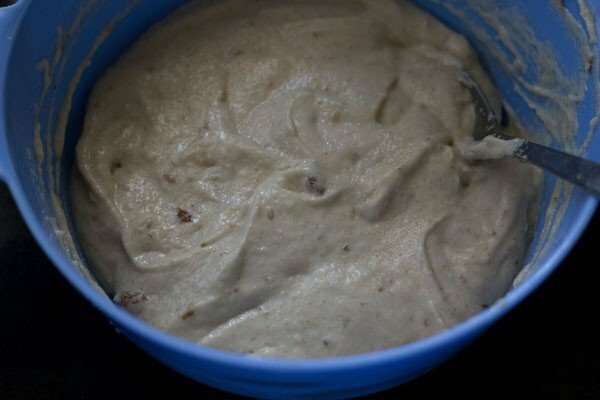 if the batter is properly ground and you beat the batter well, then no need to add baking soda or eno. thanks tina. hope your family members like the dahi vada. add 6 tablespoons ghee or oil. Hey can I keep the vada batter in fridge for a day???? yes you can keep the vada batter in the fridge for a day. thanks alqua. do with a spoon. you can use hands too. i usually use a dinner spoon. a steel tablespoon also works fine. if the urad dal have been nicely ground and the batter is of the right consistency, then no need to worry about the vadas flattening in oil. whether you add them with hands or with spoon, does not matter. they fluff up very well while frying. Awesome recipe with great presentation. Can we prepare dahi vada one day in advance & store it in freeze with soaked in dahi ? Will it be a problem? thanks prachi. you can. only one thing will happen. the dahi will thicken as the vadas will absorb all the moisture from the dahi. but the vadas will be very soft and taste good.